Born January 16, 1907 (Died, Sutherland, Nebraska April 10, 1996 – All of the writing in this article is his, except for notes in parentheses, as of 1991). At the age of 34 years, married Geraldine Russell, who was born March 26, 1912. Geraldine was born and raised in the Tecumseh, Nebraska area, attended Peru State Teachers College. She taught school five years in Filley, Nebraska, and two years at Gisert. She then came to Sutherland and taught in the Elementary schools for District #55. She passed away June 8, 1984. Three children were born to this union: James Harvey, John Russell (b. Jun. 28, 1944 d. Jun. 20, 2003), and Emily “Susan” Kerley (b. May 25, 1945 d. Sep. 23, 2002) who is now living in Sacramento, California. I went to the first through the sixth grades at Excelsior School located south of Sutherland. Then came to town school for the seventh grade, went back out to Excelsior for the eighth and ninth grades. Graduated from Sutherland High School in 1926. Bessie McIntire was my first teacher at Excelsior. Other teachers were Mary Brown, Bessie Miller, Marie McQuire, Mildred Applegate, Hildred Applegate, Margie Mapes, Mrs. McKinely, Mrs. Martin, Naomi Reynolds, and Bertha Johnson. Mrs. Bertha Johnson taught every one of the Applegate children in one school or the other, or somewhere along the line of the education process. In approximately 1923-1925, my father commenced to buy land up in the Sandhills. At that time had cattle on the leased Henry Olson place where Mel Lake lived. After graduating from High School, I stayed out at the “South Place” for a short time, then on Thanksgiving Day, in 1927, I went to the Sandhills and I have made my home there ever since. I lived on the “Attebury Place”, Section 2 of T-15-N, R-34-W. Was there until I moved up on the hill on the Section 36, T-16-N, R-34-W, this is catty-corner from where Harshfield’s loading chutes are now located. 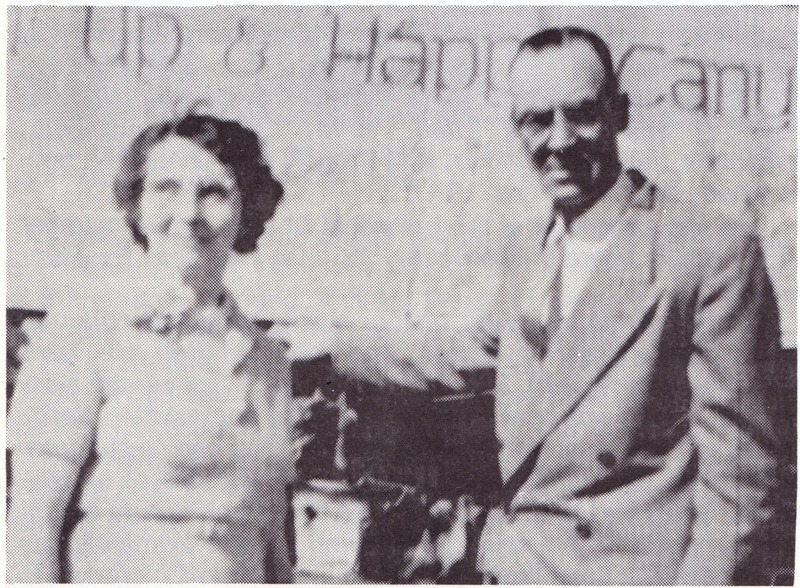 On March 26, 1931, John Gaiser, a bachelor, died; Mart and Helen Mathers lived and used the Gaiser place. Mathers went back up to Trego’s place; so I moved onto the Gasier Place and finished out Mather’s term. This is Section 10,T-15N, R-34-W. IN 1933 we purchased the place and is now (1991) the home of James and his wife, Gail. There is a distance of 12 miles from the North Platte River up to the Birdwood Creek. We purchased land in the middle of these two landmarks. Over the period of years, people lost their land, the banks and finance corporations would sell them out. Some of the people who stayed and toughed it out were the Harshfields, Greens, McLains, Muellers, Cokers, Tregos, McNeels, Orhlands, Lunkwitz, Cases and Brogans. Twenty sections make up the Applegate holdings today, some of the people whose land became a part of the Applegate Ranch are McLain, the school section, Gaiser, Dancer, Olson, Hunkey, Kilpatrick, Attebury, Halstead, Lunkwitz, and Lake. Geraldine and I moved to town in 1949 in a little house south of the railroad tracks, and in a few years moved to my current home where I have lived for 25/30 years. I am a member of the Methodist Church, Nebraska York Rite of Freemasonry of North Platte, Tehama Temple A.A.O.N.M.S. of Hastings, Nebraska. Was a 50-year crop reporter for the Department of Agriculture, received the Beaver Award-Boy Scouting on March 27, 1977, Grand Marshal of the Sutherland 4th of July parade, and received my Admiralship of the Great Navy of the State of Nebraska in November 1984.